McCluggage's relationships with automobiles and journalism germinated early in her life. Born in Kansas, she attended Mills College in the San Francisco Bay area. While working at The San Francisco Chronicle, her first job out of school, McCluggage recalls being surrounded by what we now call "car people." Hep Bay area car folk of the day had their more-than-special hangout, an imported car dealership owned by Kjell Qvale (Qvale is responsible for establishing many foreign marques in the U.S. during the 40s, 50s and 60s, but that's another, though worthy, story). "It was [friend] Barney Clark who first took me to Qvale's car store. And one day I saw something there that I quite simply had to possess. Had to!" That "had to" was an MG-TC, a machine quite often credited with introducing the sports car to post-war America. "A loose rollerskate of a car" McCluggage wrote in her book By Brooks Too Broad For Leaping, "Low. Perky. Absurd. Black...walnut veneer dash. Bumpers like tiny goalposts. And all incredibly there." Clearly her automotive die was cast. That first MG led to another, and with the growth of amateur sports car racing at full song, it only made sense that McCluggage would end up behind a steering wheel, beneath a helmet. She had already been attending indoor sprint car events and other races, and then moved to New York to join The New York Herald Tribune, about 1954. Little more than a year later, she was racing a Jaguar XK140MC. A happy face says a thousand words as a young and upcoming racer beats the odds and dispels all the myths about a woman's place. Here, Denise proudly represents American women, inspiring future generations to come. Automobile racing was not exactly a society that welcomed women in those days. Oh sure, ladies were welcome to attend, but were certainly not expected to race. Apparently females weren't particularly welcome as news people, either. As described in McCluggage's opening quote, there were certain venues, like the tradition-entrenched Indianapolis Motor Speedway, that didn't even allow women into the pit or garage areas. "Its stupid, but that was the edict...never mind that I had credentials; never mind that I was covering for the Tribune. To them, I was a woman, not a reporter, so I just did what I could do, reported from wherever I could." Baseball wasn't much kinder: "It was the same way when I was assigned to cover color for the World Series [Yankees versus Dodgers] and I couldn't get into the Press Box!" She wandered the grandstands, eavesdropping on conversations and picking up personality tidbits wherever she could. Fortunately, McCluggage possessed enough talent and depth of character to overcome obstacles of the era, both as a journalist and a racing competitor. Many race drivers and team owners recognized this, putting her gender aside. Throughout the late 50s and early 60s, McCluggage raced with and against the best of them: Stirling Moss, Phil Hill, Peter Collins, Carroll Shelby, Dan Gurney, the Rodriquez brothers and even the great Juan Manuel Fangio. Though many followers of motorsports "Golden Era" hold these names out as legends, for McCluggage, they were her contemporaries, and her friends. According to Hill, America's first World Driving Champion,"It's a bit embarrassing to me, given today's enlightened attitudes, to admit that in the late 50s I was a bit disturbed by the idea of this woman driver. It wasn't a matter of feeling threatened, but like many men in that period, I had trouble understanding what kind of statement Denise might be making with her driving efforts. The fact is, gender stereotypes aside, she was holding her own on the track." In truth, McCluggage wasn't trying to make any sort of statement at all. She was only attempting what every other driver on the track was trying to do — win the race. McCluggage raced at all the great sports car venues of the day: Sebring, Nassau, Daytona, the Nürburgring in Germany and the Monte Carlo Rallye. She also has competed in a plethora of race cars: Porsche, the Italian OSCAs, DeTomasos and Maseratis, Volvos, Mini-Coopers, Fiats and Renaults. Some of the cars were her own, such as an Alfa Romeo Guilietta Sprint Veloce, and what seems to be her favorite, a Ferrari 250 GT. "It wasn't just my only car, it was my only thing. My only thing of any material value in my life. I used to drive the car to the track, race it, then drive it home. I seem to recall racing an entire season on the same set of tires," she said. A far cry from today's multi-million-dollar racing machines that may get two or three competitive laps out of one set of rubber. Her professional racing days wound down toward the end of the 60s, but her journalism career really began to take off. She was involved in the genesis of Competition Press, which ultimately became AutoWeek magazine. Today, AutoWeek is the largest weekly automotive magazine in the world, and McCluggage is still Senior Contributing Editor. Her relationship with its publisher, Leon Mandel, goes back some 30 years. According to Mandel, "Denise has always been the spiritual center of AutoWeek. She defined its aspirations. She knew how to interpret and examine the car world for the most sophisticated enthusiasts." Denise McCluggage's history of achievements have made her an outstanding role model and hero to many aspiring women race car drivers. Taking her role seriously, she always makes a point to stop to chat with future racers. Today, AW still aims at the knowledgeable enthusiast reader, not the casual car shopper, and Mandel liberally credits McCluggage for instilling that philosophy from the beginning. "Her gender made no difference, at a time when that was unthinkable. She transcended all of that...Denise exhibited the same sparking, invigorating presence with all the people who were in the [automotive publishing] business. Her accomplishment was very womanly; it wasn't a dare or a challenge. It was an example." Is there higher praise? And what does this seasoned journalist feel that people really want in an automobile? "What women want in a car these days is very much what men want — value. Reliability is perhaps the most important thing to women, because they suffer more when they get stranded on the highway than men do. But if a woman has the same amount of money that a man has, they are likely to buy the same car that a man would." If you've gathered by now that McCluggage only exists for automobiles, you still don't know the half of her. By her own words, she's "dabbled" in interior decorating, competition skiing, parachuting, bungi jumping and who knows what else. Besides her journalistic endeavors surrounding automobiles and motorsports, she has also extensively covered skiing for newspapers and magazines. After living in several areas of the United States, and traveling the world, McCluggage now makes her home in New Mexico. Though once married (to an actor) but single for sometime now, the desert landscape suits her life well. One would think, with age 60 in her rearview mirror, that McCluggage might enjoy slowing down a bit. Guess again. McCluggage has covered more ground than most, clearly focusing on the maximization of life's experience. Whether or not her ventures were successful was seldom the question. She impresses as one who relishes the drive, literally and figuratively; the destination being no more important than the trip itself. "Its been a smorgasbord sort of life," McCluggage said. "Maybe I'll come back sometime and have a full-course dinner." 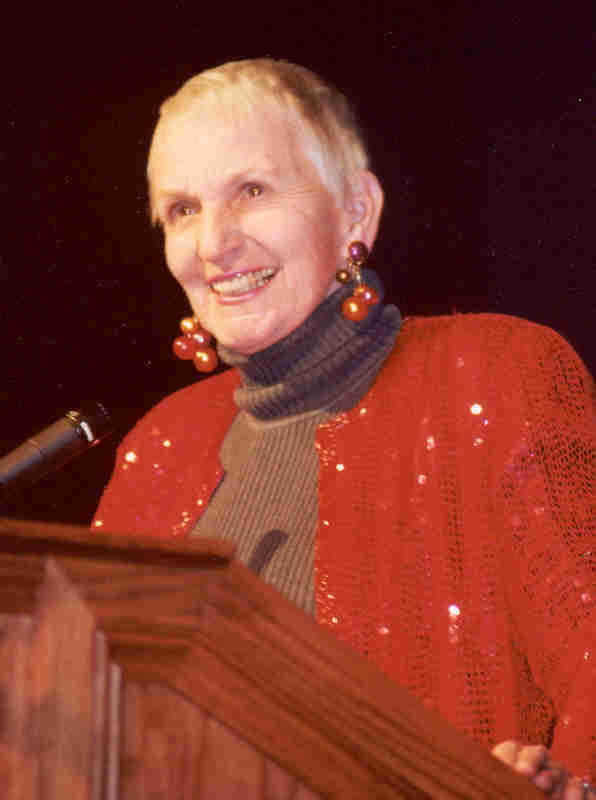 Denise was honored in 2004 with Road & Travel Magazine's first Lifetime Legend Award. Click here to view the You Tube video of Denise and other Auto Legends that were honored after Denise. Denise was also the first woman to be honored at the Detroit Automotive Hall of Fame. Click here to read article.